We offer the following services for rabbits at our farm. If interested, please contact us for an appointment. Rabbit’s nails need to be trimmed every few months. Long nails can lead to sore hocks, broken toes, and other conditions. If you are uncomfortable doing this yourself, just bring your rabbit to us for a trim. Not sure if your rabbit is a buck (boy) or doe (girl)? Let us take a peek. 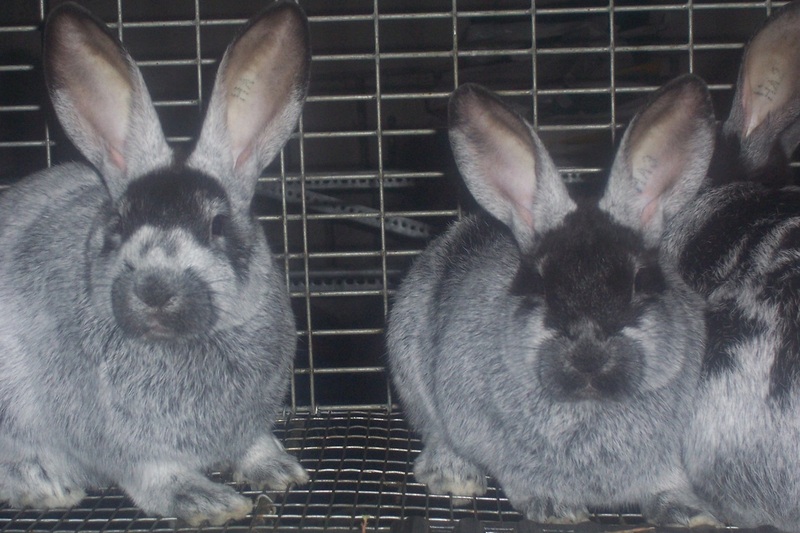 Sexing is most accurate on rabbits 8 weeks and older, but gender can be determined as early as 5 or 6 weeks old. Rabbits are often tattooed for identification purposes. Rabbits must have a permanent tattoo in their left ear to be shown at an American Rabbit Breeders Association (ARBA) show. For $5, we will tattoo the left ear with your choice of letters or numbers (up to 5 characters). All of our rabbits come with an identifying tattoo in their left ear. 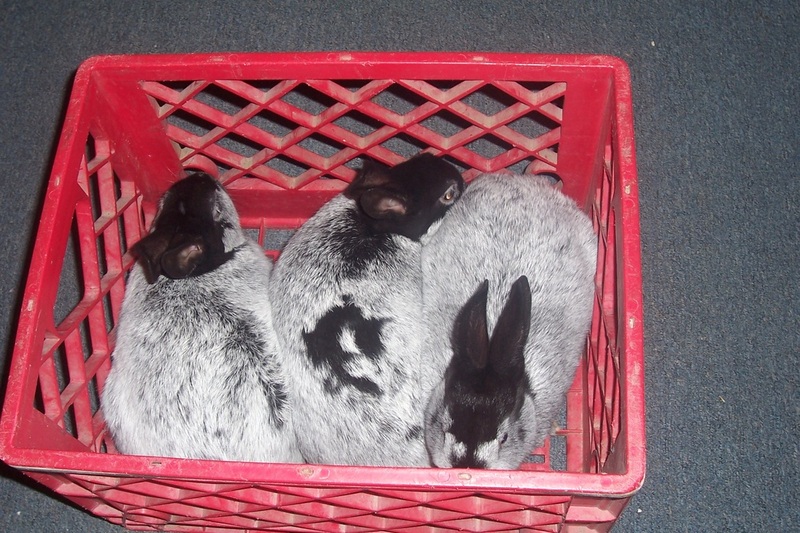 Your rabbit should be examined for physical health at least once a year. We will perform a full health check and inform you of any concerns and possible treatments. We will check for things such as ear mites, malocclusion (bad teeth), plugged scent glands, and sore hocks. A nail trim and gender check is included in the price. This is a preventive well-check to alert you to concerns before they turn into big problems. If your rabbit is obviously sick, please contact a rabbit-savy vet immediately. 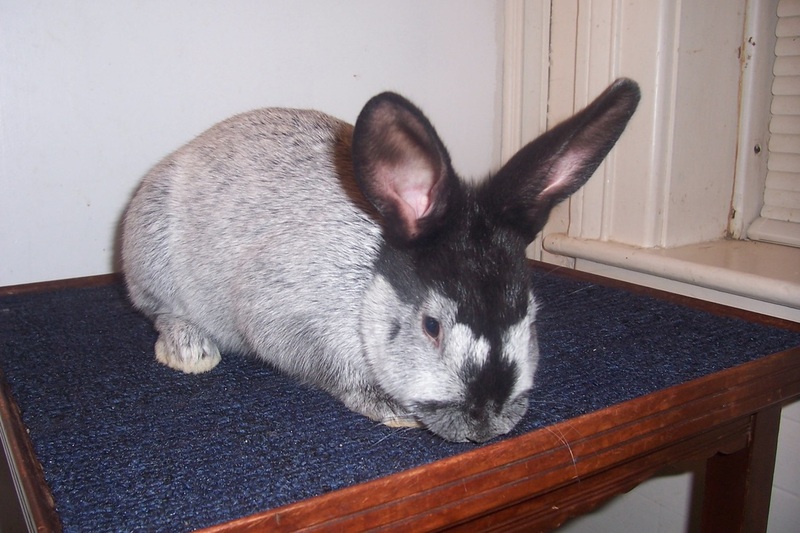 Visit our For Sale page to see rabbits that are currently available.